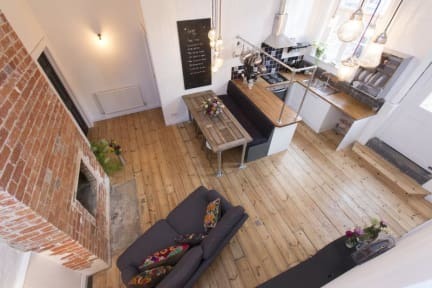 Two Bare Feet is a Self Catering Bed and Breakfast in Central Winchester. This is a totally unique house, available to book as individual rooms or in its entirety. The open kitchen/dining area means guests can relax and comfortably spend time together, with the separate rooms offering privacy as and when required. 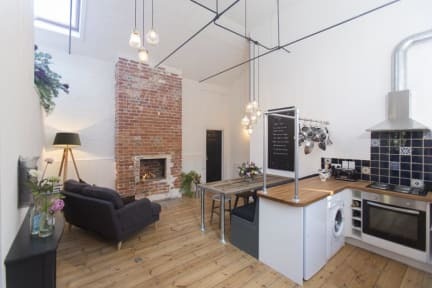 The fully equipped kitchen makes self-catering easy, with enough space to cook everything from a full English breakfast to a roast dinner and there’s also a handy Nespresso machine. Eggs, Bread, Milk, Tea and Coffee are complimentary. There is also an Honesty Tray if you fancy cereals and jams. Nearby are the many cafes, bars and restaurants and all that Winchester has to offer. Enjoy shopping, theatre and strolls through the city to Cathedral Square or along the river and into water meadows. Visit the many historic sites in and around Winchester itself or take a day trip further afield to the beautiful South Downs, New Forest or the Isle of Wight. The fast and frequent rail links make Winchester a popular weekend destination, especially to those living in London. The bedrooms are private with lockable doors, king size beds, 32 inch TVs, wifi, ensuite bathrooms and lounge areas. With high, brilliant white ceilings the interior has splashes of deep rich colour, giving a crisp and vibrant feel with glimpses of Morocco. Check in from 16:00 to 22:00 . Guests get a door code to let themselves in - this is provided after payment has been confirmed with the Property. The Property will contact you before or on the day of arrival in order to confirm payment and provide entry details. Breakfast included - Eggs, bread, tea and coffee is included to use in the self catering kitchen. No reception, staff are not on site but close by in case of emergency. Car parking available when organised with the property. Two Bare Feet is located in a residential area so noise after 11pm must be kept to a minimum. Charges will be incurred if there is any damage found to the property after your stay.